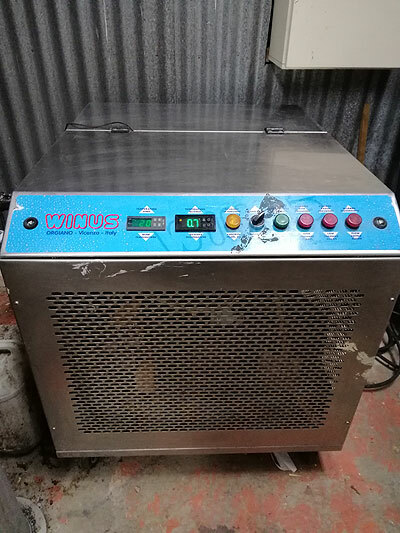 Description: Winus C2-W9 refrigeration glycol unit to cool down juice and fermentation wines to cold stabilisation level. This unit suitable for a winery, brewery or any juice factory. Previous owner seven years, regularly serviced – no issues. This unit is self contained has own glycol tank, own compressor and pump. All you need to do is connect to hoses which run the glycol to the tanks. This unit is easy to move around as has its own wheels. Been used to cool wines during different stages – can cool down to minus 8 degrees. Previous owners have had it cooling three 10,000 litre tanks at once or a mix of different sizes. 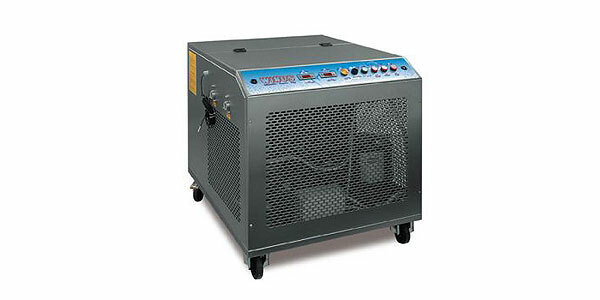 The unit can be adjusted for temperature and shuts off when reaches it to save money. The unit is based in Gisborne, and currently still working in a winery. Previous owners are are looking at expanding and getting another unit in for vintage. The unit will easily fit on to a pallet and can easily be shipped around the country to you. INCO Terms: (EXW) Ex-Works, Gisborne.